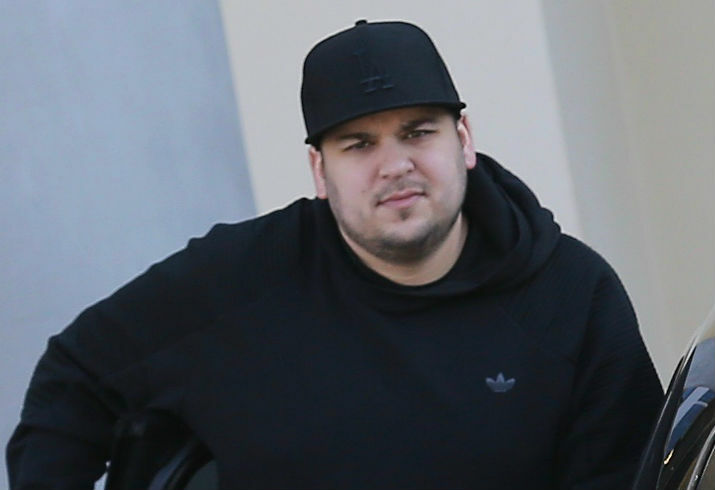 Custody Clash At Rob Kardashian's 30th Birthday Party? Nanny leaves with 4-month-old Dream before Chyna arrives. Rob Kardashian celebrated his 30th birthday included a screening Beauty and the Beast and possible baby mama drama with on-again-off-again fiancé, Black Chyna. Mom Kris Jenner planned the big bash at Westlake Village California’s Cineopolis, a luxury movie theater. A section was rented out for the party and guests chowed down on snacks like gourmet popcorn. Sisters Khloe and Kourtney Kardashian and two of Kourtney's kids, Mason and Penelope Disick were present. Apparently absent family members included Kim Kardashian-West, Kanye West, Kendall and Kylie Jenner, and Scott Disick. Insiders reported that Rob ordered a nanny to leave with 4-month-old baby Dream before baby mama and 28-year-old former stripper arrived. But if there was a custody clash, the couple didn’t show it. Chyna not only attended the shindig, she brought her man gold and black balloons with a number 30, and a small cake. Because the birthday boy was born on St. Patrick’s Day, mom Kris decorated the venue in green and gave party-goers St. Patrick’s Day themed props and hats to wear.